DUBAI (Reuters) - Bahrain's foreign minister called for a boycott of the ride-hailing company Uber Technologies [UBER.UL] after its chief executive officer said he will not attend a business conference in the kingdom's ally Saudi Arabia. Saudi Arabia's sovereign wealth fund, the Public Investment Fund, which hosts the conference, invested $3.5 billion in Uber in 2016, making it one of the company's largest investors. Other companies and high-profile businessmen have pulled out of the three-day conference known as "Davos in the desert," which is scheduled to begin on Oct. 23 in Riyadh. Foreign minister Khalid bin Ahmed Al Khalifa tweeted two hashtags calling for a boycott of Uber in Bahrain and Saudi Arabia, as well as a broader hashtag urging followers to "boycott anyone who boycotts Saudi Arabia." "Now it is time for GCC (Gulf Cooperation Council) to prove their loyalty by boycotting Virgin and Uber and all the companies pulling out of KSA... Together we can prove our unity and that we cannot be bullied," he said in a Twitter post. 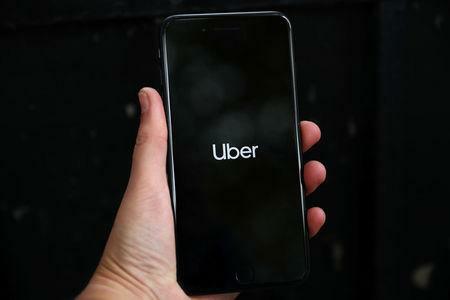 The Uber investment was the PIF's first major deal in the technology start-up market, signaling its shift in strategy toward more aggressive and eye-catching foreign investments. It was also a boon for Saudi women, who had been barred from driving until a decades-long ban was lifted this summer. Khashoggi, a prominent Saudi journalist, disappeared after entering the kingdom's consulate in Istanbul on Oct. 2. Bahrain and the United Arab Emirates are Riyadh's closest Gulf Arab allies and the three countries are working alongside each other in a series of conflicts in Yemen, Qatar and Lebanon to try to counter the influence of arch-rival Iran.